A belated quick review this time of a couple of items Paul at Red Zebra has kindly sent me. The first item is a very nice lounge chair which is cast in a nice light grey resin. 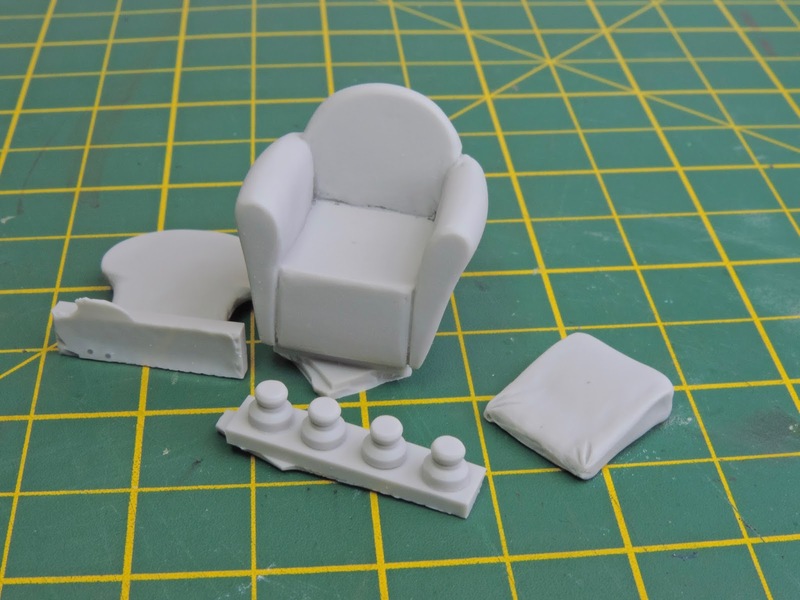 This would be a very handy addition to any diorama or base and having only a few parts is easy to construct. The second set is a collection of filled and distressed cardboard boxes. Again these are very well cast and exhibit fine detail. Very handy for dios and adding to vehicles. 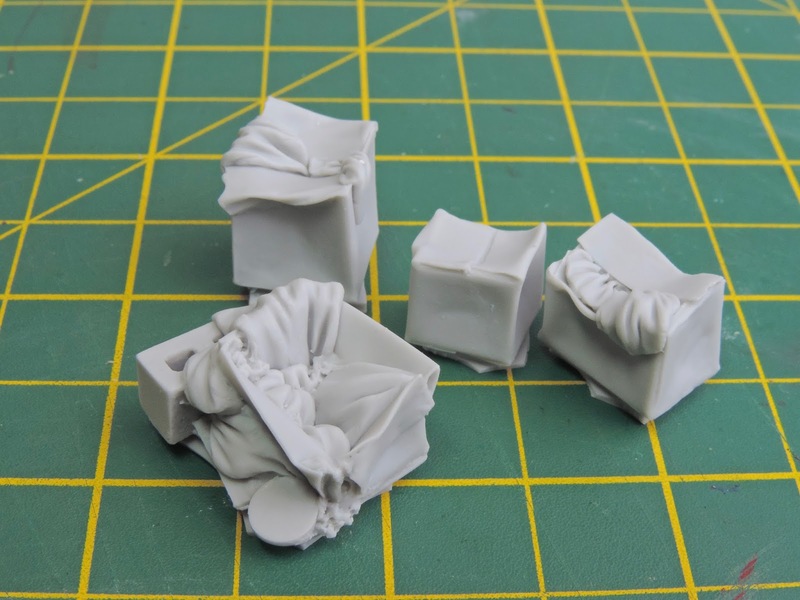 I think they would work really well as a load for one of the many pick ups now available in 1/35th. Thanks to Paul for the samples, yet again they are excellent sets which don't cost too much. Recommended. Model T, Bit of a balls up! !